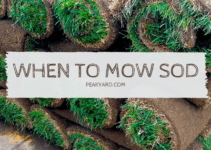 Choosing between grass seed vs sod can be a difficult decision. This is particularly true if you are establishing a brand new lawn. 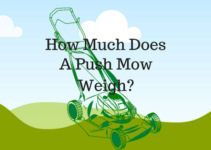 Most people want a lush green lawn, but don’t know where to begin. 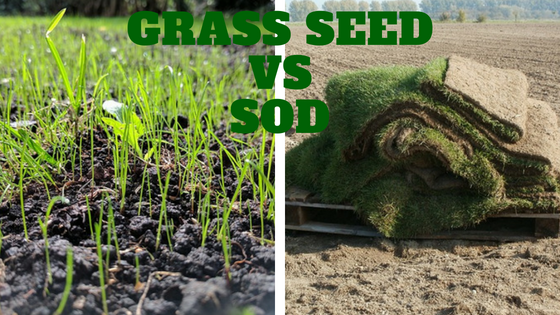 There are advantages and disadvantages to either choice, which we will explorer in this article along with what differentiates grass seed vs sod. If you choose to establish your lawn from grass seed, you will need buy a bag(s) of grass seed to cover the area you want to seed. The national brands of grass seed such as Scott’s or Pennington can be widely found at places like Home Depot, Lowe’s Walmart, Amazon, Tractor Supply, and local garden nurseries. You can also buy premium grass seed online from grass seed specialists such as Seed Super Store or Hancock Seed. Eliminate Weeds & Debris: The soil where you plan on growing your grass seed should be free of weeds and debris. You may need to buy a weed killer in order to eliminate the weeds prior to planting. Read the weed killer label to verify how long you need to wait after an application before sowing new seeds. Prepare the Soil: The soil must be loosened by at least a couple of inches so that the seeds can eventually take root. The soil should also be raked out to smooth and level it out. Spreading the Seed: Spread the seed using a lawn spreader or your hands. Apply the manufacturers recommended amount of seed per the square footage you are covering. Grab your tape measure and jot down the square footage measurements if you are not certain of the the measurement of the area that you are seeding. Too much or too little grass seed can impact seed germination. Fertilizing: Spread starter fertilizer over the grass seed area as recommended on the label. This will provide essential nutrients to help the seeds root and establish into a lush lawn. Cover the Seed: Use the back of a rake to gentle work the seed into the soil. The seeds should only be approximately 1/4 inch or slightly less into the soil. Water: It is vitally important to routinely water the seed. The soil should remain moist (not flood). This will mean watering two or even three times a day to maintain this moisture. Sod typically comes in small rolls. You roll out each strip until your desired lawn area is completely covered. When you buy sod, you are buying grass that has already been established on a farm. Once it is put into place in your yard, you will essentially have an instant lawn. Two of the biggest factors when deciding between grass seed vs sod tend to be cost and labor. Most people would likely prefer to have their yard sodded to produce an instant lawn. The reality is that it is not always the practical choice. Grass seed takes patience, but is generally much cheaper and can ultimately produce just as nice of a lawn as sod.